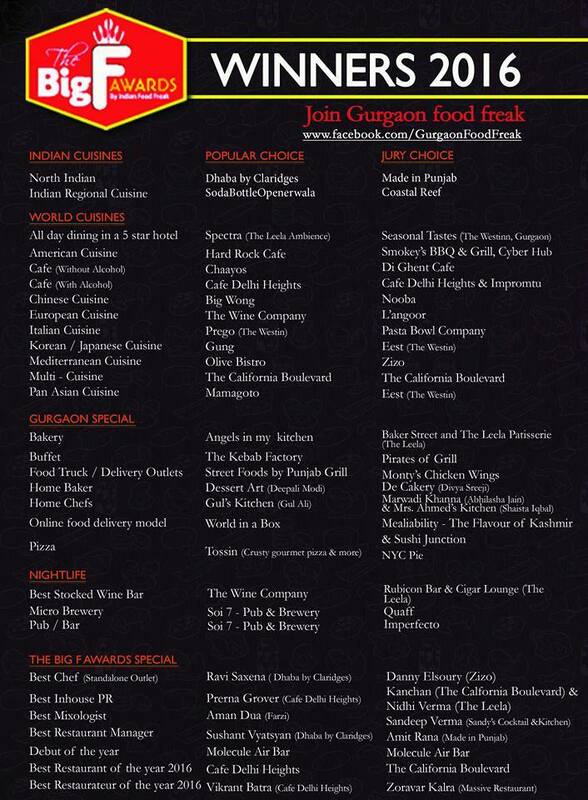 Home / big f awards / chef kunal kapur / events gurgaon / highway on my plate / pawan soni / rocky and Mayur / Big F awards 2016 ! Big F awards 2016 ! If there ever was a show whose invites could create a riot it had to be the Big F awards .Its 3rdedition turned out to be even grander than its previous versions. The who’s who of F&B industry descended on the red carpet laid out for them at The Westin, Gurgaon. From renowned food critic Marryam Reshi, to the dapper chefs Kunal Kapur, Sabyasachi Gorai, Adiya Bal and everyone’s favourite Television food show hosts Rocky and Mayur of the HOMP fame. Turning on the glamour quotient were foodies and members of Gurgaon food freak- the women as usual out-did the men in this department. The month long voting yielded some pleasant surprises with numerous new entries in the winner list. 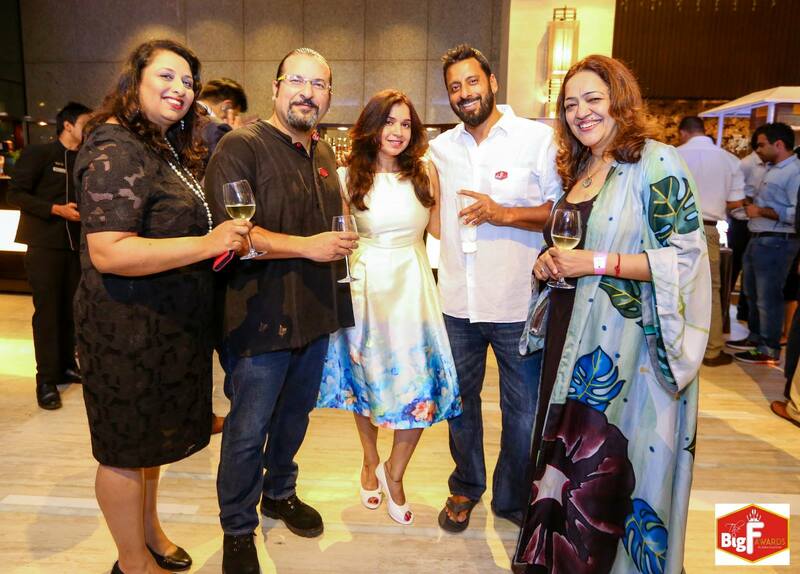 My fan girl moment was of course meeting Rocky and Mayur, they are witty, charming and totally worthy of adulation. The surprise act of the evening was bollywood Diva Shibani Kashyap ‘s impromptu gig. 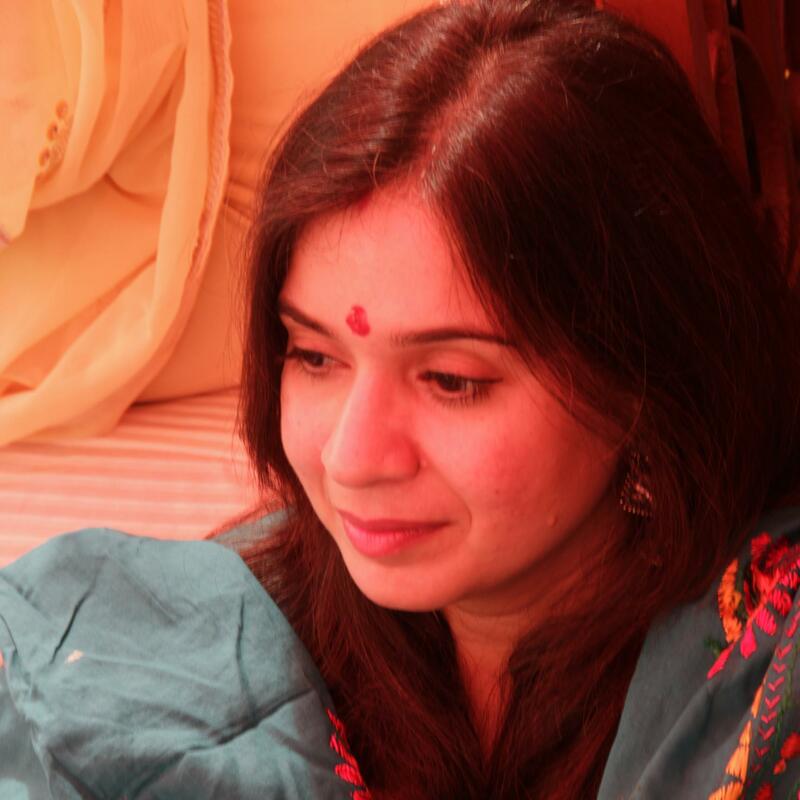 She crooned one melody after another , and I must say she sounds as magical in real life as she does in those records. This was indeed a laudable effort by Pawan Soni, only he can manage this magnificent event in the millennium city year after year. Special kudos are due to his co-admins Rohini Ghosh and Himanshu Arora who left no stone unturned in making the event a thumping success. And what is a food awards show without some good food to offer. Westin left everyone impressed with their extensive and delectable food spread. To ensure your invites make sure you queue up soon. 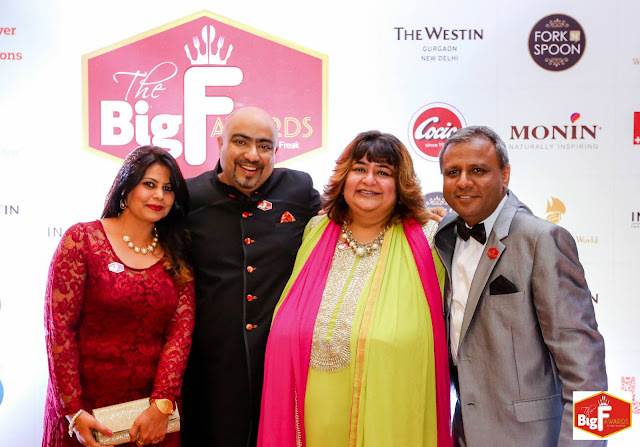 P.s- The big F awards Delhi edition is debuting soon!